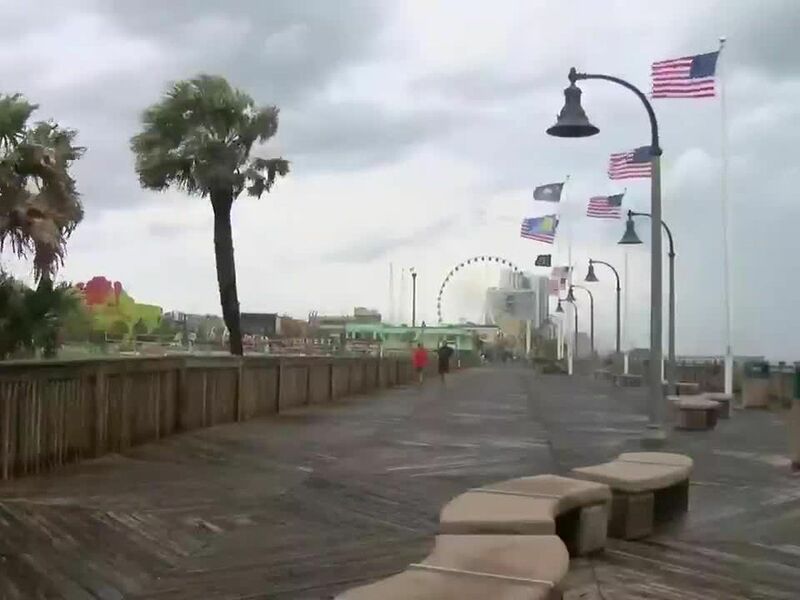 MYRTLE BEACH, SC (WMBF) - Multiple cold fronts arrive this week keeping the rain chances around into the weekend. Temperatures turn much warmer Tuesday ahead of our next cold front. 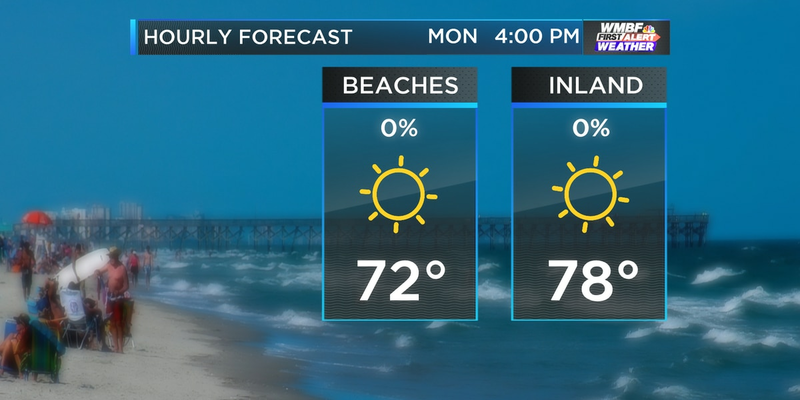 Expecting afternoon highs to climb well into the 70s under partly cloudy skies. 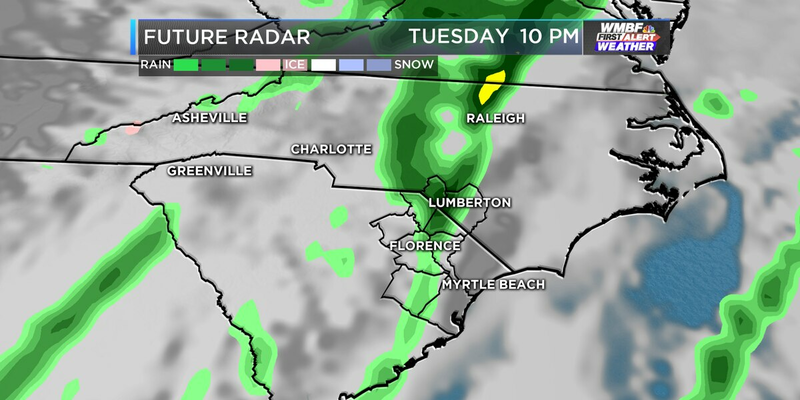 The cold front arrives after sunset and will bring in a few showers late in the day. As the cold front exits, sunny skies return Wednesday and Thursday. We turn a bit colder as our afternoon temperatures fall into the upper 50s and lower 60s. The low point will be Thursday morning as we kick off the morning in the middle 30s. Temperatures begin to climb again late this week and that trend continues into the weekend. Afternoon highs return to the middle 60s by Friday, continuing through Sunday. We’re watching for more rain chances to arrive late in the week. Still some uncertainly in regards to the timing of the rain but expect some showers around both Friday and Saturday. Looking for warmer weather? Look no further than this week.